Posted in: Crime Stoppers, Media Release, Reward. Tagged: Clark. Franklin Police want to alert the public to the concerning attack of a stranded teen driver. At about 8:20 Sunday night a 16-year-old girl pulled over on I-65 S, between Cool Springs Boulevard and McEwen Drive, after her tire went flat. While standing outside of her vehicle, waiting for her dad who was on his way to help, a man accosted the teen from behind, pulling her down the hill and into the ditch between I-65 S and the back side of the Mallory Lane Sam’s Club. The victim was able to break free and escape an apparent sexual assault attempt. The suspect fled on foot into the I-65 wood line and remains at large. Police are looking for a tall white male with dirty brown teeth and a medium build. He is believed to be in his late 30s to early 40s. The suspect had a “dirty-blonde” beard, and looked like he had not shaven other areas of his face for several days. The suspect is believed to be about 6 feet tall. He was wearing a black t-shirt at the time of the attack. The victim was treated at the scene for minor injuries. 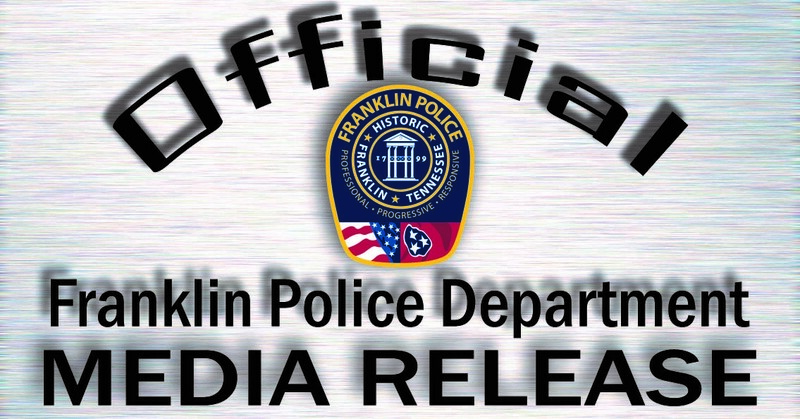 Franklin Police are asking anyone with information to come forward by calling (615) 794-2513. Callers wishing to remain anonymous can do so by calling Crime Stoppers at (615) 794-4000 or clicking here to submit an anonymous eTip. For the time being, Franklin Police are advising stranded motorists to call 9-1-1 for assistance so dispatchers can pinpoint your exact location. While waiting for police to arrive, you should wait in your vehicle with the doors locked, when possible.